Welcome to the official website for the Desert Daze Music Festival in Spences Bridge, British Columbia, Canada. Our dedicated team of volunteers begin planning in February to offer a fun-filled, family-friendly 2-day summer festival every year. The 10th Annual Desert Daze Festival will be held August 9th & 10th, 2019. The Annual Desert Daze Music Festival was conceived in 2010 by the Spences Bridge Community Club to celebrate rural communities and to highlight area arts and culture. The 2-day festival presents activities and entertainment for all ages to enjoy: top-notch musical performances, First Nations demonstrations, educational workshops, local crafts, vendors and a beer garden. Join the Desert Daze Festival Facebook fan page to keep up-to-date! The Desert Daze Music Festival is a community based initiative which celebrates life in rural British Columbia through music, arts, heritage and culture. The Desert Daze Music Festival was born in 2009 from the vision, passion, dedication and hard work of a small group of volunteers in Spences Bridge, British Columbia,who wanted celebrate the lifestyle and livelihood of small town and rural British Columbia. The Annual Desert Daze Music Festival was conceived in 2010 by the Spences Bridge Community Club to celebrate rural communities and to highlight area arts and culture. The 2-day festival presents activities and entertainment for all ages to enjoy: top-notch musical performances, First Nations demonstrations, educational workshops, local crafts, vendors and a beer garden. For Spences Bridge to host such an event involves months of preparation and the support of several volunteers, local area businesses, Indian Bands and service organizations. Thanks again to all the fans, volunteers, artists, vendors, sponsors and the community of Spences Bridge, The Spences Bridge Community Club and Spences Bridge Improvement District for all of your support and hard-work over the past many successful years! The festival takes place at the Spences Bridge school grounds. The event site is clearly visible from the Trans Canada Highway. 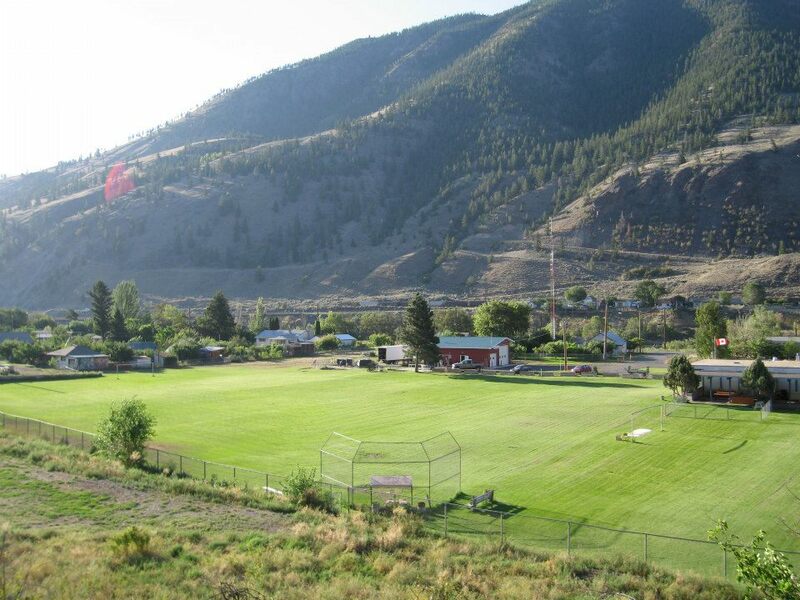 Desert Daze Music Festival grounds – Spences Bridge, BC.